Karin H. O’Neil, age 76 of Columbus, OH, passed away at her residence, Friendship Village Columbus, on April 25, 2018. She was born on January 2, 1942 to Dr. Charles E. and Roberta W. Holzer in Cincinnati, OH. Karin grew up in Gallipolis, OH, graduated from Stuart Hall School in Virginia in 1960, earned a Bachelor’s Degree in Religion from Mount Holyoke College in 1964 in Massachusetts, received her Masters Degree in History from the University of Massachusetts in 1967 and her CAGS in Education from University of Massachusetts in 1969. After her schooling Karin became a 5th grade public school teacher in the Palmer Schools in Massachusetts. From 1967 to 1971 she taught at Northampton Schools for Girls as a history teacher and a dorm parent, then went to Williston Northampton School and taught history. She became the department head in history and was made co-director of the middle school. She was appointed Academic Dean of the Upper School and went on to become Associate Head of School. 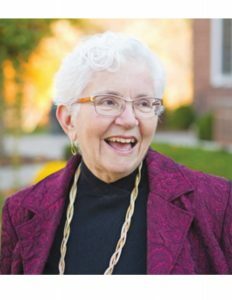 She retired from Williston Northampton School in 2001 to move to Ohio to become the Executive Director of the Ohio Association of Independent Schools from which she retired in 2011. Prior to retiring she conducted many national workshops and trainings for the National Association of Independent Schools and was an Independent Educational Consultant. She was an active member of the League of Women Voters for over 50 years and involved in various choral groups and supported the arts throughout her life. 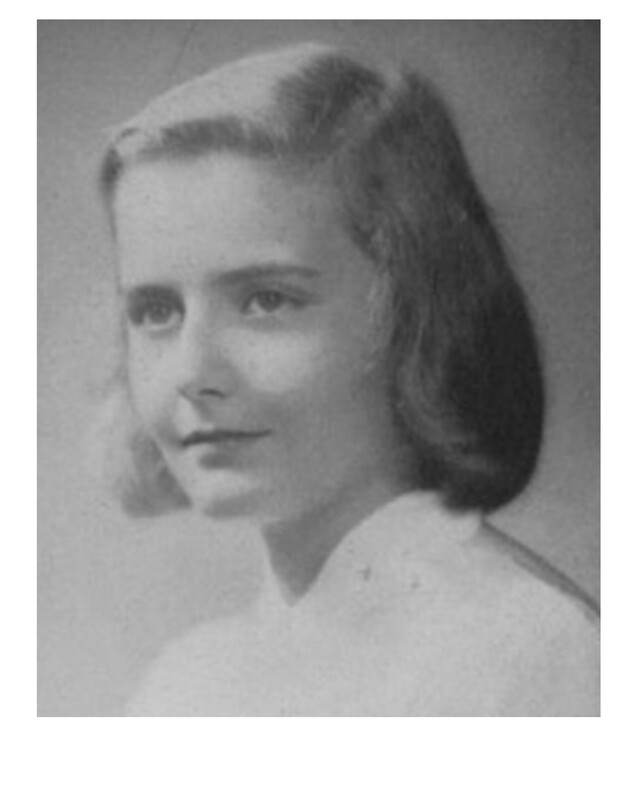 Along with her mother, Karin is survived by her loving husband of 53 years Dennis O’Neil, son David A O’Neil ’83, grandchildren Erin and Ryan and their mother Carol Lynne O’Neil, siblings Dr. Charles E. (Jean) Holzer, III, John W. (Ann) Holzer, Christiana H. Gallant, Amy H. (Dudley) Irvin ’78, many beloved nieces, nephews, friends and colleagues. Along with her father, she is preceded in death by nephew Nathan H. Gallant. In the late 1960’s, Bob moved to central New York State, where he soon met his future wife, Marilou (nee Matuszak) Bates of Elmira, New York. Bob and Marilou were married in 1970 and welcomed into the world their own children – a son and twin daughters. After 45 years of marriage, Bob is survived by his wife, Marilou, of Cortland, New York; by his two children: son John Francis Bates, also of Cortland; and daughter Margaret Aileen Koch of Wenatchee, WA; as well as by many loving in-laws, nieces, and nephews. 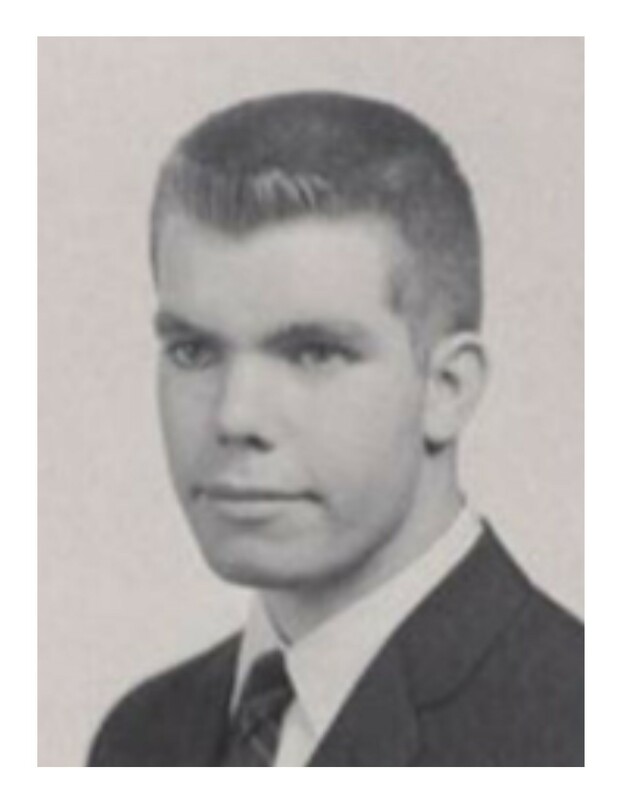 He was predeceased by his devoted parents and by his infant daughter, Kathleen, who went to be with the Lord in 1973. Bob will further be missed by his oldest grandson, John Francis Smith-Bates of Ithaca, New York, and by his son-in-law Robert James, grandson Joshua Michael, and granddaughter Caitlin Elizabeth Koch, all of Wenatchee, WA. William Shaw Michael passed away on April 15, 2018 at age 82. Son of the late Leroy Michael and Katherine Shaw Michael, he was born and raised in Athens, Georgia. 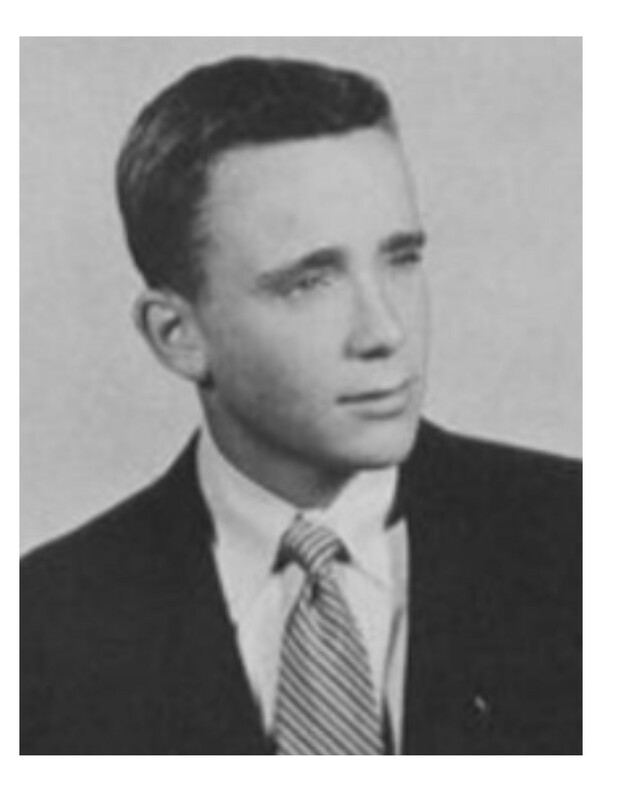 Bill, as he preferred to be called, was a graduate of Williston Academy in Easthampton, MA and the University of North Carolina at Chapel Hill, where he was a member of Kappa Sigma fraternity and majored in English. He received his law degree from the University of Michigan. He began his fifty-year legal practice in Charlotte, NC at First Union National Bank. Bill then served as corporate counsel at The Ervin Company, and later was a partner in the firms of Williams and Michael, and Weinstein & Sturges. He retired to Pawleys Island in 2011. Bill is survived by his beloved wife of 32 years, Cathy; his three daughters, Helen Michael, Caroline Osborne, Dillon Grenham, and their spouses, Roy Cloud, John Osborne, and David Grenham, all of Washington, DC; stepsons Jeff Phillips and Jonathan Neubauer, and their spouses, Mary and Jeannie, of Charleston, SC; and grandchildren, Meryn, Cole, Lila, Natalie, James, Cate and Ryn. Bill is also survived by his brother Leroy and spouse Joanne Michael of Scottsdale, AZ. Always active, Bill loved Tar Heel basketball, tennis, hiking, politics and socializing with friends. In retirement, he trained Golden Retrievers for Canine Companions for Independence, a nonprofit devoted to helping people with disabilities by providing them with highly trained dogs free of charge. Through that charitable work, he found his treasured dog Lupe, who serendipitously failed to pass a few of the rigorous tests for becoming a service dog. Bill was a member of the ACLU and the vestry of Holy Cross Faith Memorial Church of Pawleys Island. He was a passionate reader, with avid interests in literature, history and theology, and had a great facility for puns. Dorothy “Dodo” Gaylord Phillips passed away on December 30, 2016. She was born May 5, 1926 in Binghamton, NY. She married Frank Gaylord July 12, 1945 and they raised four children in Spokane, WA. Dorothy was involved in antiques most of her life and was well known in the community. In 1976 she married Bob Phillips and they opened Dodie’s Collectibles. She loved her large garden and fed the squirrels and birds for years. She was a member of the Mayflower Society and an active member of the Manito Presbyterian Church for most of her life. Church members cheered her up with visits and cards the past couple of years. Dorothy had a great sense of humor and loved people for who they were. She is survived by her children, Sue Patneaude of Seattle, Chuck (Deloris) Gaylord of Spokane, Sally (Scott) Brand of Woodinville, WA and Linc (Della) Gaylord of Spokane; many grandchildren and great-grandchildren. 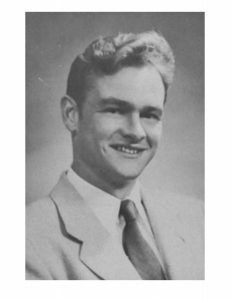 Guy V. Dyer, Jr., 91, passed away peacefully at home on April 18, 2018 in Bloomfield, CT. Born in Hartford on July 9, 1926, he was the son of Guy and Ruth Dyer. He is survived by his loving wife of 61 years, Harriot (Fuller). He is also survived by his two daughters Julia Dyer of Unionville, Helen Hastings and husband Kenneth Manthey of Haddam, and son John Dyer of Lady Lake, Florida. He leaves 3 grandsons, Benjamin Hastings, William Hastings, and Matthew Dyer Walsh. He was predeceased by his sisters, Lois Pascal and Ellen Burt. Guy resided in West Hartford for most of his life. He attended Hall High School and Williston Academy. 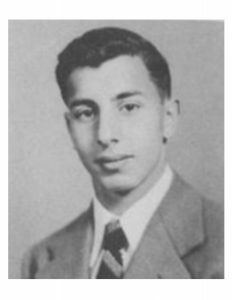 Guy graduated from Nichols College after serving in the US Navy during WWII on the Intrepid Destroyer Pacific, USS Black (1944-1947). He was a member of the Wyllis 99, St. John’s Masonic Lodge of CT. Guy loved to sing and he sang in the University Glee Club. He was a former member of the Hartford Barbershop Group and later sang with the West Hartford Squires. Guy was employed by Shawmut National Bank and after retirement, worked for Imagineers Property Management Company in Hartford for many years. He was a member of Immanuel Congregational Church. Guy will be remembered for his wonderful sense of humor and devotion to family and friends. He was an avid sports enthusiast who loved to golf, ski, play tennis, and sail. Guy was a big Yankees’ and UCONN Women’s Basketball fan. He enjoyed travelling and especially loved spending winters at their home in Florida. Margaret “Maggie” Greenberg, 83, died on April 10, 2018 at her home. She was the daughter of Smith College English professor Charles Hill and his wife, Ruth, of Northampton, MA. Mrs. Greenberg graduated Phi Beta Kappa from Smith College, where she also won the history prize, and later received an M.A. degree in history from the University of Maryland. Subsequently, she was awarded the Diplome de Langue Francaise with highest honors from the Alliance Francaise in Paris, France. Mrs. Greenberg traveled extensively in Europe, spending two years in Greece and two years in France. As a result, she became fluent in French and was able to converse in German, Italian, and Greek. An accomplished classical pianist, Mrs. Greenberg studied under professor Sklarevsky, a Russian pianist at the Peabody Institute in Baltimore, MD. After moving to Mount Gilead, OH in 2005, she enjoyed giving piano lessons to her younger grandson. Mrs. Greenberg endowed two academic scholarships for students at the Williston Northampton School in Easthampton, MA and at the American College in Athens, Greece. She was also a generous contributor to the Mt. Gilead Public Library, the Morrow County Hospital Foundation, and United Way of Morrow County. Mrs. Greenberg was predeceased by her husband, Louis M. Greenberg, a history professor at the University of Maryland. She is survived by her daughter, Alison Hirt of Mount Gilead, and grandsons Jaccob Hirt and Stefan Showalter, also of Mount Gilead. Donald Burnett of Longmeadow, MA, died Tuesday April 3rd, 2018. Born in Springfield, MA to Henry and Ellen Burnett, he attended Springfield schools before finishing at Williston Academy. In 1953, he earned a Bachelor’s Degree from Hobart College. After graduating, Don served in the Army for 3 years. 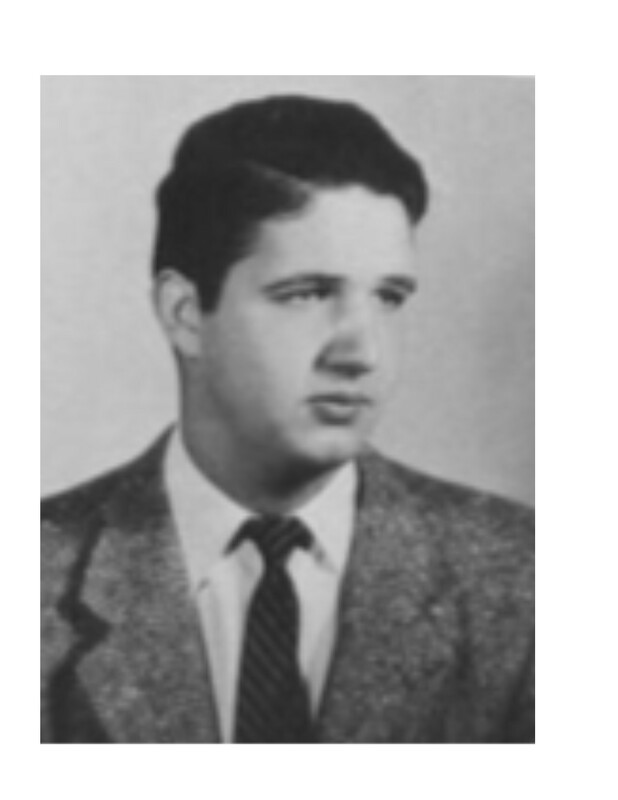 Don had a passion for automobiles and making people happy leading him to pursue a career as an automobile salesman. He enjoyed 40 years as a Sales Manager at Clyde Chevrolet Buick in Rockville, CT. Don was an active member of St. Andrews Episcopal Church. Predeceased by his siblings, Henry Burnett, Wallace Burnett, & Marion Roberts, Don is survived by his loving wife Virginia Ann and their four children Jeffrey (Lisa), Sally, Steven (Maggie), and Scott (Kathy). “Grandy” will also be missed by eight grandchildren Elizabeth and Logan Burnett, Andrew and Connor Marr, Hannah and Alexa Burnett, and Emily and Molly Burnett. The family wishes to extend a special thanks to the staff at Wingate in East Longmeadow. Paul R. Smith of Lakeville, MN, (age 73), an avid runner for many years, jogged through heaven’s gates on April 3, 2018 to meet his beloved Jesus. His family, celebrating his wholeness after an 11 ½ year battle with Alzheimer’s Disease, includes his loving wife of 50 years, Sally Kilander Smith, and their children Heather Dawson (Brian), Holly Speratos (Jason), Hilary Moorlach (Brian), and Luke Smith (Katy), and his thirteen grandchildren: Torrey, Jake, Leah, Zach, Anna, Max, Ben, Matt, Adam, Luke, Charlie, Nathan, and Isaac, and his sister, Emily Fitz Randolph. He is preceded in death by his parents, Charles Randolph Fitz Smith and Jeane LaGrone Smith, and his sister Kay Delle Koch. 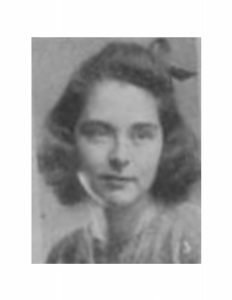 Charlotte Adams Rising, 95, passed away March 21, 2018 in Medford, Oregon. The only child of Dr. William Francis Drea and Rhoda Smith Drea, Charlotte was born July 25, 1922, in Colorado Springs, Colorado. 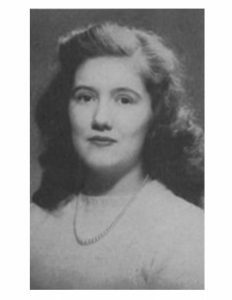 She graduated from the Northampton School for Girls in Northampton, Massachusetts in 1939 and then spent three years at Stanford University before her marriage to 2nd Lt. Waldemar H. (Bud) Adams in 1942. After World War II, they made their home in the Detroit area, where they raised their four children. After Bud’s death in 1964, Charlotte became the Registrar for the Merrill Palmer Institute in Detroit, completed her undergraduate degree at Wayne State University, and graduated from the University of Michigan Graduate School of Library Science. She married the Rev. Richard L. Rising in 1969, moved with him to Rochester, New York, and pursued her career as librarian until their move to Dolores, Colorado. They both retired while in Colorado and subsequently moved to Sonoma, California. But Oregon beckoned, and in 1991 they moved to Ashland, where Richard died in 1998. Beginning in the spring of 2000, Charlotte shared her life with Theodore F. Carter and moved with him to Rogue Valley Manor in 2005. During her years in Oregon, Charlotte was a reader, Lay Eucharistic Minister, and vestry member at Ashland’s Trinity Episcopal Church, a board member of the Tudor Guild and Ashland’s AAUW, a member of Chapter FO, P.E.O., and a respite volunteer for the Providence Hospital Hospice. She is survived by her children, Natalie Riley, William Adams, Charles Adams, and Michael Adams; her step children, John Rising, Cynthia Rising, Caroline Maxey, Stephen Rising, Catherine Rising, and William Rising; eight grandchildren; eight step grandchildren, and one great-grandchild. 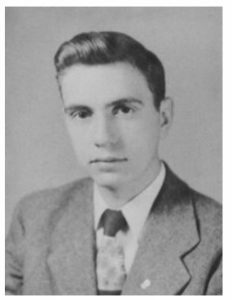 Martin C. Goldman (“Bozie”), of Swampscott, MA, passed away January 17, 2018 at age 91. Married for 66 memory-filled years to Maxine (Rosenbaum). Loving and proud father to Nancy and Steve Walter of Swampscott, Betsy and Dan Rooks of Marblehead, Bob and Jose Goldman of Lynn, and Jeff and Judi Goldman of Swampscott. Grandfather and cookie thief to Joshua and Rebecca Rooks, Sam and Asher Goldman and Camila Paiva and Godric Laird, Danielle, Alexa and Jake Goldman, Melissa (and Mark) Richards and Michael (and Cindy) Walter. Father-in-law to Barbara Goldman. Son of the late Charles and Marion (Leavitt) Goldman, brother to the late Bob Goldman and Harris Goldman, brother-in-law of June Goldman and Carolyn Goldman, uncle of James Goldman, Joan Finn and Charles Goldman. Esteemed North Shore lawyer, lifelong resident of Swampscott and efficient Moderator of Town Meeting for 21 years. Past board member and president of both Temple Emanu-El and the Jewish Community Center of the North Shore. Booster of all things Swampscott, especially the schools and sports programs.